Easter is a celebration about new beginnings – and whatever your religion, it is a time to celebrate new life – new starts and of course the joy of Spring. 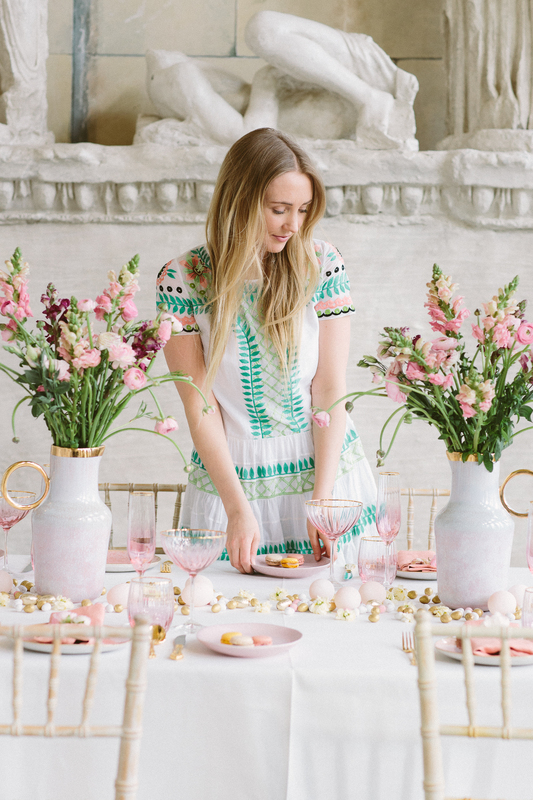 As part of my Table Manners series, I have created two Easter tablescapes with my friends from Anthropologie – perfect for a good ‘time’ Friday or a sunny Easter Sunday. 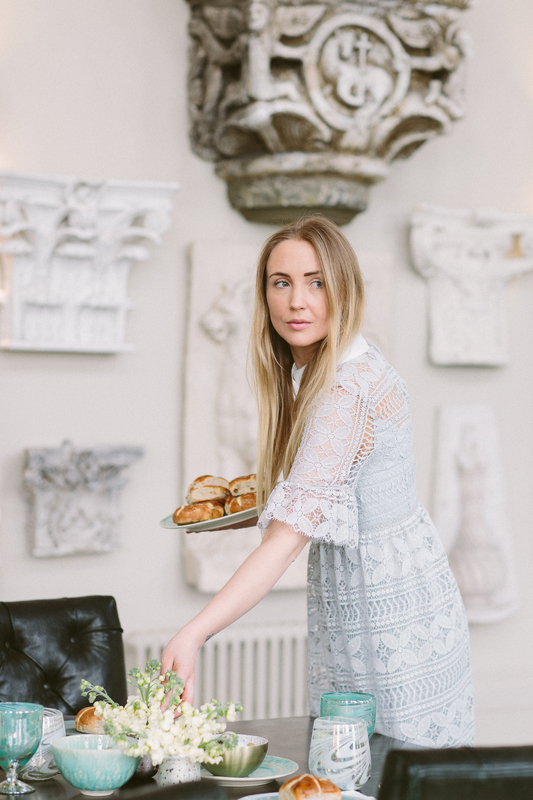 It was so easy to choose from Anthropologie’s beautiful range of 24ct gold rimmed glassware, detailed bowls and beautifully finished plates. I can be scared of colour – especially pink but this floral inspired table is playful in look and feel. Each element of the tablescape was chosen to compliment the tones and highlights of one another. 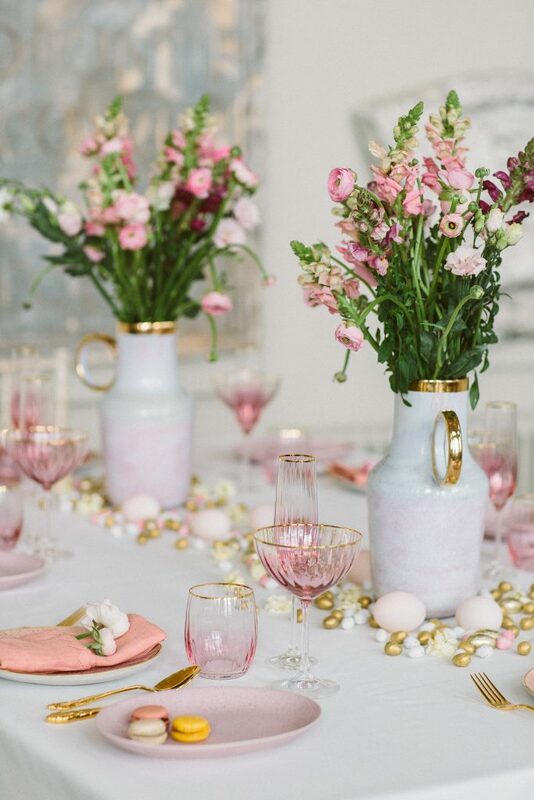 The light pink of the egg shaped speckled side plate complimented the pinks of the ceramic jug, the deep pinks at the bottom of the delicate glassware picked up tones in the flowers – and I even managed to find macaroons the exact colour of the linen Anthropologie napkin! 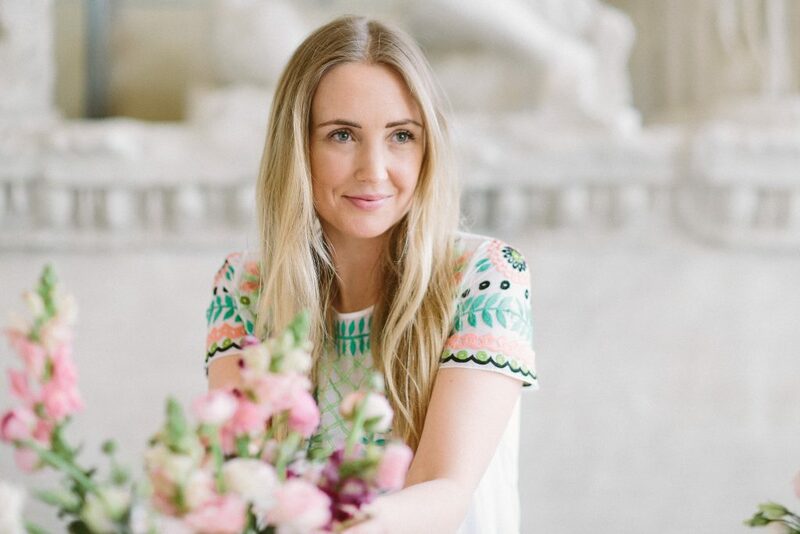 It might sound very matchy – but by sticking to a palette of colours, it can be easier to achieve a look that brings together a lot of textures seamlessly. I enjoy a table that is interactive – whether it is with an interesting name place – a fun favour or as I’ve done here a edible centre piece! 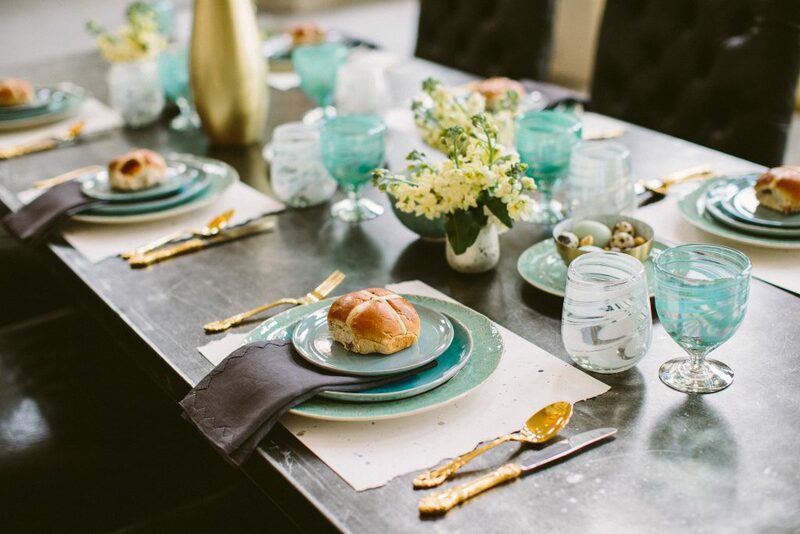 A scattering of chocolate eggs along the table of this tablescape gives guests a chance to lean over and indulge between courses. I know children will enjoy this – and will entice them to sit! A posy of flowers hand tied at each seat is a sweet favour that ties the scheme together – add a simple tag for the guest name to create a lovely place name. 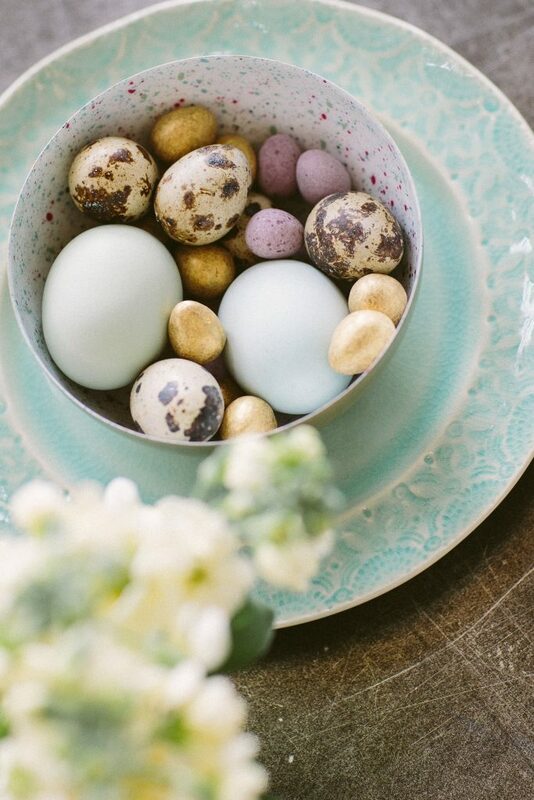 For this table I took my inspiration from eggs – especially those that are speckled! Have you ever looked at the patination of eggs and their rainbow of colours and variations. – Though I am no Oology! (person who studies eggs!) I love pattern. 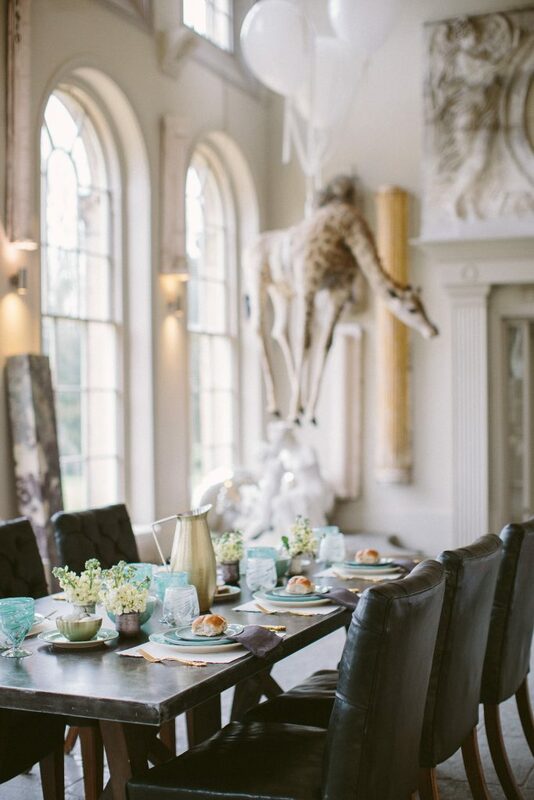 When designing a table I am always trying to revisit and reinvent old styles and ideas – long forgotten table mats are hopefully coming back – much to the delight of our Butler Raymond! These table mats are so effective and so easy to make – you will need – watercolour or textured paper a – a toothbrush works best and watered down paint – in a variant of colours to match your table – and go for it! A great Easter morning activity with the children. Rip the sides for added texture and voila! You can also use these as your place names by writing at the top or bottom of the mat your guest name. I even used the technique with edible paint and used it over colour matched macaroons – edible ‘eggs’! These glasses made from recycled glass add another dimension of pattern to the table and I like the heaviness of them on the zinc table. Though unconventional, I have layered the plates on top of each other – the iridescent side plate sits on top with a yummy hot cross bun – the gorgeous blue painted main plate is ready for the sharing brunch and then the larger patterned detail plate sits patiently for the Easter brunch pudding! I’m totally in love with these linen napkins with a new take on the traditional hem stitch detail – and the colours are to ‘dye’ for! 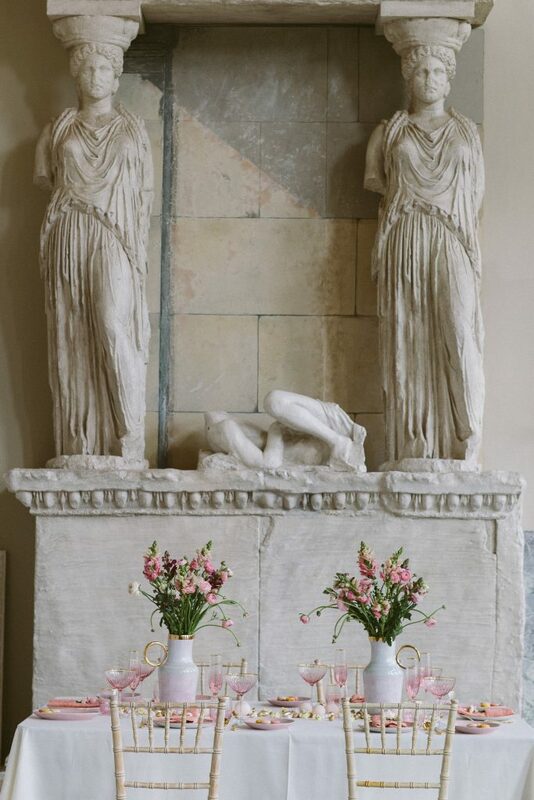 Anthroplogie’s candle glasses became my flower vases as I wanted to keep everything very low – I love the big gold jug as the only height to create the statement and of course the gold ties in with the detail of the cutlery and the bowls filled with eggs!! Every element of the tableware – has a pattern or texture.